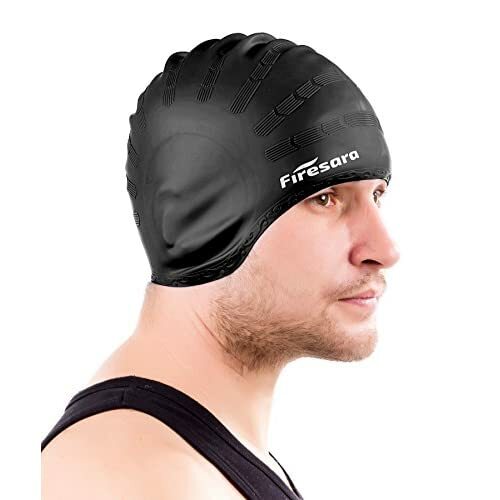 TOP CLASS SWIM CAP:After trying variety of swim caps and studied of human head structure,we know there is no swimming cap being able to keep both comfort and 100% waterproof.But we can promise our swim cap does best in keeping hair clean and head comfortable. 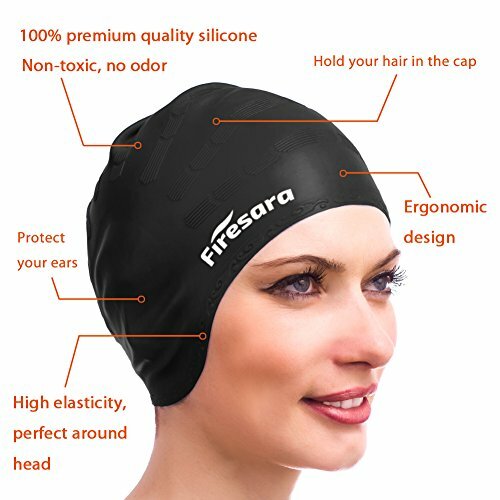 PROTECT YOUR HAIR CLEAN AND EAR DRY-- Super flexible silicone swim caps with premium earmuffs, cover your hair and ears well,you can enjoy your swimming without any worrit, no matter your hair is short ,long,thick,or curly. 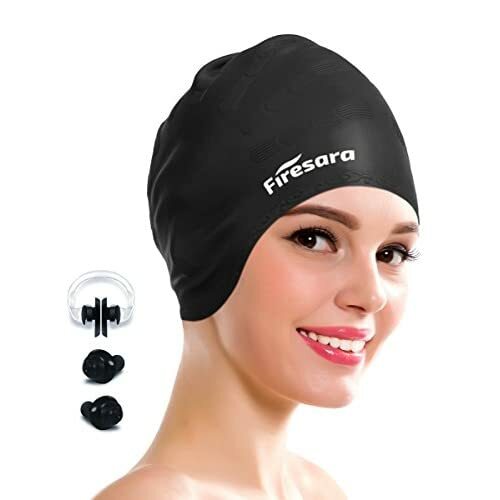 Most important is it can prevent hair damage from the chlorine and has UV protection without odor and toxicity. 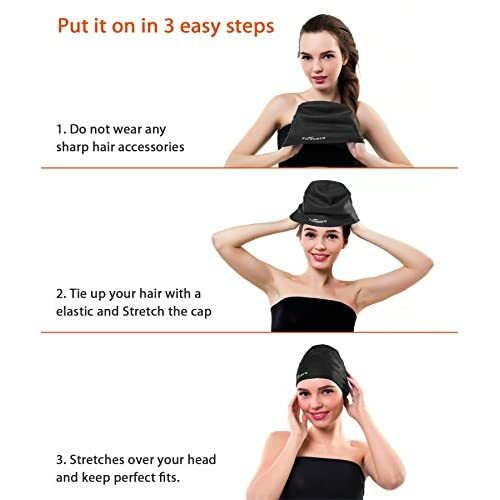 COMFORT AND EASE:Made with premium quality non-slip materials, easy to put on.Unlike latex, the quality, non-toxic, skin friendly silicone will not tear and will retain shape. 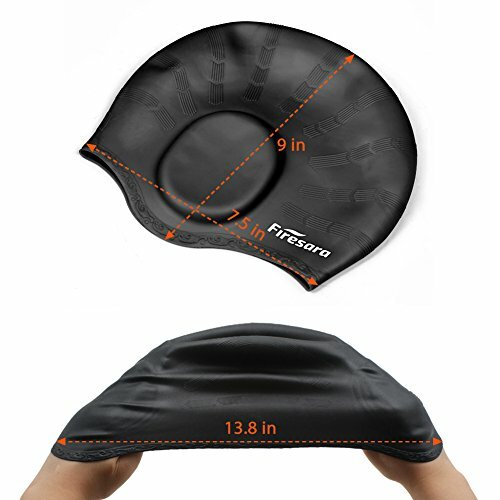 Extra strong silicone can stretches twice its size. 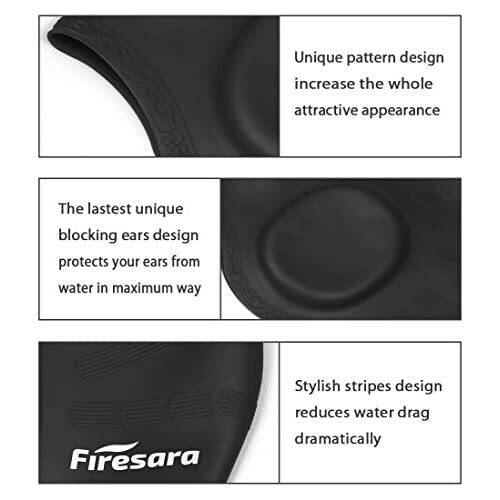 ERGONOMIC NOSE CLIP AND EAR PLUGS:You won't worry about over-pressure or water getting into your ears or nose.The swim caps with high quality ergonomic nose clips and three tiered ear plugs, Make you feel free in water. 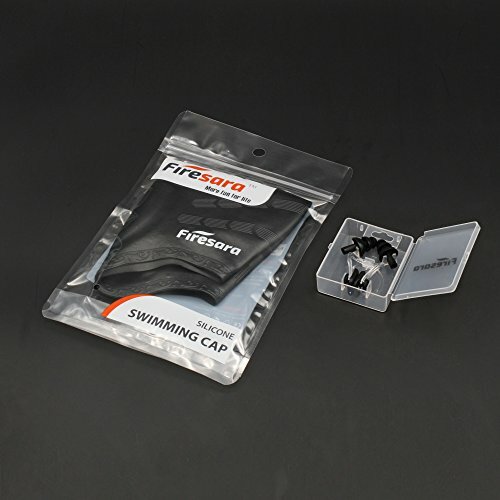 LIFETIME WARRANTY:We guarantee your satisfaction or your money back, no questions asked, on top of that, the swim cap, nose clips, and ear plugs all come with a no hassle lifetime warranty.